I've long loved Essence nail polishes- I've featured them on this blog before- and I think they are amongst the best that you will find on the high street. Richly pigmented, relatively well wearing, huge colour variety and a purse-friendly €1.79 a pop, there is not much to dislike. When I heard that Essence were foraying into the land of gel polishes, my interest was piqued, particularly given that I was invited to an Essence party over a year ago where we were gifted with the Essence gel nail kit where you could turn any Essence nail polish into a 2 week gel manicure and cause minimum damage to your nails with a peel off base coat. I kind of loosely thought that this was based on a similar system or that some sort of top coat or curing process would be needed to achieve the shiny, long lasting gel effect. Turns out my original hunch was spot on, as there is a gel top coat and base coat in the line to help you achieve this effect and the polish can be easy removed with any nail polish remover. Now, I'm from the 'if it ain't broke, don't fix it' school of thought, so I was curious as to why Essence wanted to change a good thing. 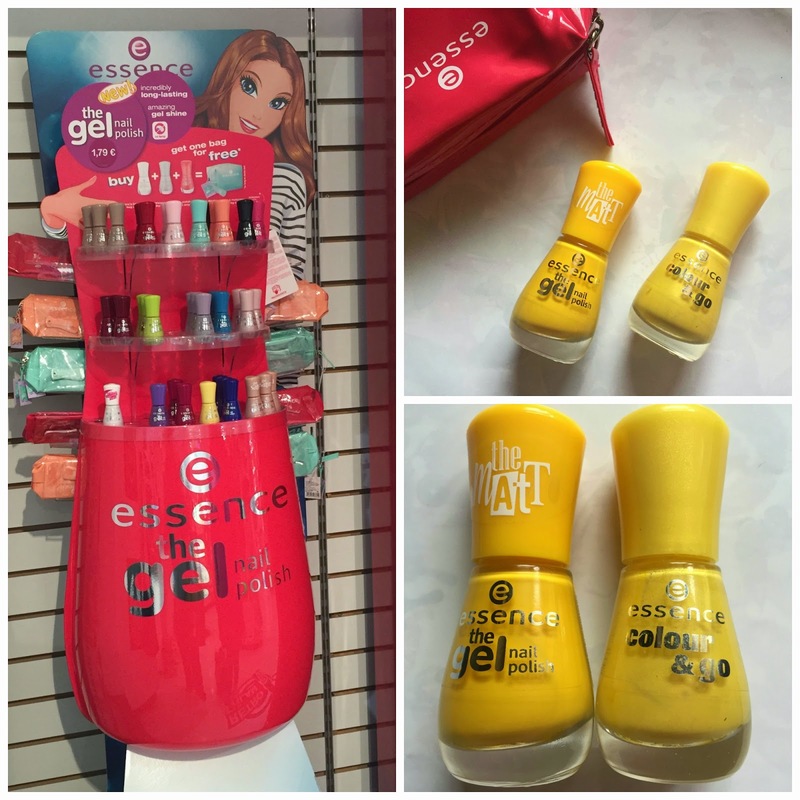 A few years back, Essence reformulated their nail polishes and vamped up the packaging (which I blogged about here) and I was rather smitten with the newbies. These new polishes, when teamed with the top coat and base coat, promise gel effect nails without the need for a UV lamp (where have I heard that before?! )- so, having tried out 6 different colours over the week, it's my guesstimation that the actual formula or the nail polishes themselves has not changed at all. Which is no bad thing! As you can see from the pictures above, the packaging hasn't changed much either- apart from the rebranding from the Colour & Go moniker to the gel nail polish. Again, have to reiterate everything I have already said about Essence nail polishes- love the packaging with the colour co-ordinated cap and the nice wide brush that pretty much covers your whole nail in a single stroke. I have tested out six different shades over the last week or so. I always apply polish with a base coat and top coat anyway- so to use the Essence three step system was no hardship to me, and I picked a variety of colours and finishes to showcase. What I will state first is that not all of these polishes applied the same or lasted the same- there are some differences in the shades which I will get to. Wonderfuel is a metallic royal purple shade. In the bottle, there is a strong blue duochrome effect going on but that does not translate onto the nails quite as strongly. This applies quite sheer- more sheerly that I would have imagined, and it took three coats of the nail polish to build up opacity. This is a gorgeous purple shade however, and it lasted well on the nails over wear. The finish was very shiny and metallic, even without the top coat. 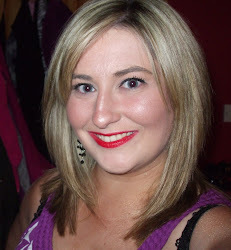 Hello Sunshine is a matte canary yellow shade, and as you can see, it looked absolutely hideous on my pale hands! I was very curious about the matt effect gel nail polish- sure enough, it applied matte (even though it was still incredibly streaky after three coats!) but once the top coat was applied, it lost it's matte appeal. Now, as I mentioned, if I didn't have the Essence top coat to apply, I would have applied Seche Vite or my CND Vinylux top coat to achieve anyway so it wouldn't have stayed matte on my nails, but marketing a gel effect matte polish was a little peculiar in my eyes. This also chipped quickly and was marginally harder to take off than some of the other colours. Play with my Mint, as the name suggests, is a mint shade that, to my eyes, leans towards more of a spearmint than a peppermint minty shade (I cannot be the only one who differentiates between different shades of mint?). This, along with the next shade Forgive Me provided almost opaque nails with one single swipe of the brush, and a second coat delivered some creamy opacity insurance. Both of these lasted well- when they started chipping, the started chipping from the tips of the nails, but the bright, pastel summer shades did not give much away. The next shade, Serendipity, is one of my favourite colours in the Essence line, not only because 'serendipity' is one of my favourite words of the English language! The colour is a beautiful blue/grey/smokey pale lilac colour- it's so unusual and I feel like this looks like a much more expensive Butter London or Nails Inc shade as it's just so demure and ladylike and spring appropriate. This is my must-have shade in the whole collection. This lasted exceptionally well for four whole days on my nails and when it did start chipping, it was quite subtle. 2 coats of this delivered perfect colour opacity and the gel top coat just accentuated the gorgeous colour. Divine. Finally, the last colour I went for was the shade True Love which is a gorgeous red/pink hybrid shade (definitely leaning more pink than red) and it also please me greatly. The colour again was practically opaque in a single swipe and the shiny top coat just took the colour to a whole new level. What particularly excited me about this one is that I think this is a colour that is perfectly seasonally appropriate all year long. My overall impression of the new Essence 'the gel nail polish' is that the polishes on their own, without the top or base coat, are pretty much the exact same as the previous generation of Essence polishes, which as I said, is no bad thing. I found absolutely no difference in terms of performance of the polishes on their own, and I did think that they lasted marginally but not significantly longer with the top and base coat. The top coat and base coat are nice additions to the line but I am not convinced that they add more longevity to my nail colour that I wouldn't already get from any of the other top or base coats that I would go for. If you are not in the habit of applying top coats and base coats, you might find this new three step system is a thing of beauty, if you are well versed in applying top coats and base coats, I doubt you will see a difference in the formula of these new Essence polishes. 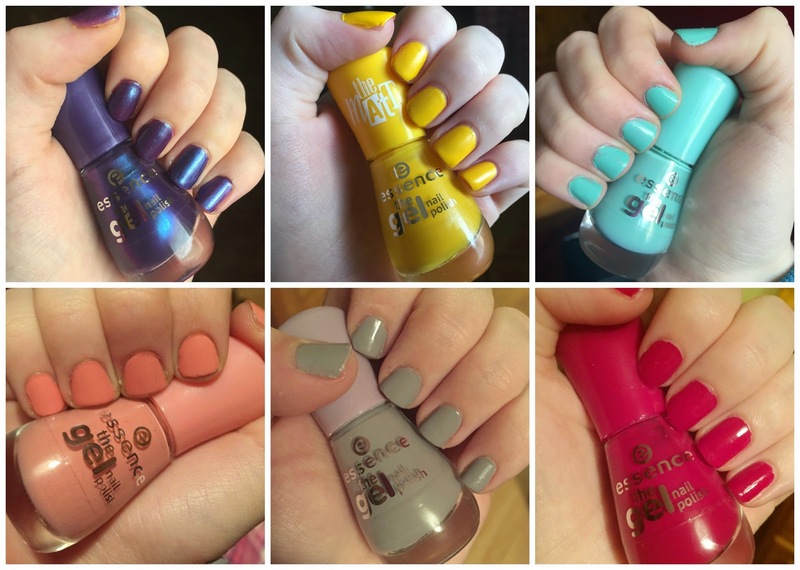 As a huge Essence Cosmetics fan, I commend the brand for bringing out even more fab nail polish shades and innovations and I look forward to picking up more over the coming months. Meanwhile, my parting words to you are to pick up Serendipity and give it a whirl if you have not done so already! What do you think of these new Essence 'the gel nail polishes'- are you tempted to make a purchase or has there been any shade that you are loving and that you can recommend to me? At a meagre €1.79 a pop, I'm sure I can stretch to some more! Great timing :) I'm working on my review of these today. I found the nail polishes to be the same nice quality as the old ones too. But I do have to say, that I have tried Mavala base and top coats, seche vite and also drugstore base and top coats, and these have been the ones that lasted the best on me. I got 5 days of perfect manicure out of it, today is day 5 and they are starting to chip, so I'm reapplying them tonight. But Normally, my nail polish will chip within 24 hours so for me this is awesome. The mint shade has my name all over it! Pretty swatches! Love the Do You Speak Love? and Wonder fuel. Love both colors for I find them classy and have a very pretty finish.